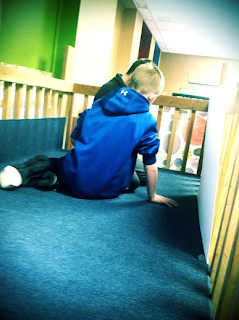 John Schu and I had a wonderful time celebrating Friendiversary for the first time together this year. 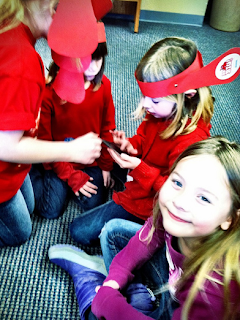 Friendiversary is an annual celebration of friendship and reading from First Book and Mo Willems. 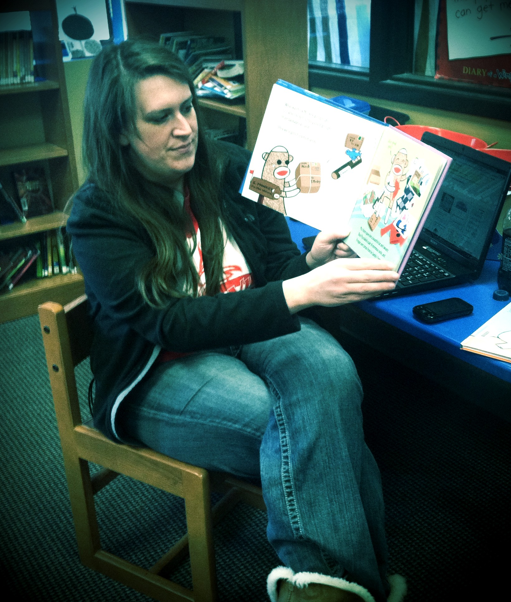 "First Book is celebrating Friendiversary this week by providing 7,000 new Elephant & Piggie books to second-graders at Title I schools in Louisiana and Massachusetts. The Elephant & Piggie series is written and illustrated by our friend Mo Willems, whose support makes it possible for First Book able to provide these books. 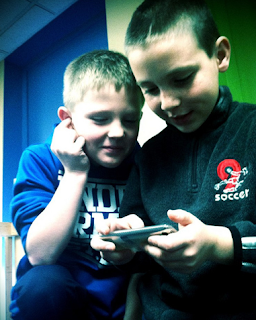 Every book includes a special Friendiversary note from Mo, and his publisher, Disney Publishing Worldwide, is also providing activity kits, stickers and posters free of charge to each classroom." 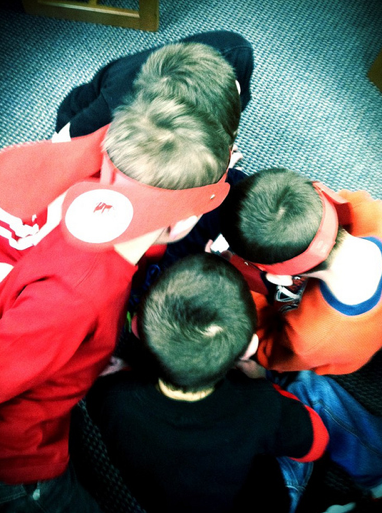 And we will celebrate friendship and reading all year long. 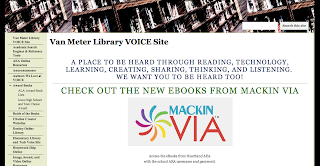 This is cross posted from John and I's blog Two Libraries One Voice. On Friday, we had a little sock monkey and sock puppet FUN in the Van Meter Elementary Library. Nikki Hawkins, a student from Grand View University who has been student teaching in Staci Braun's 4th grade classroom, was visiting us in the library. 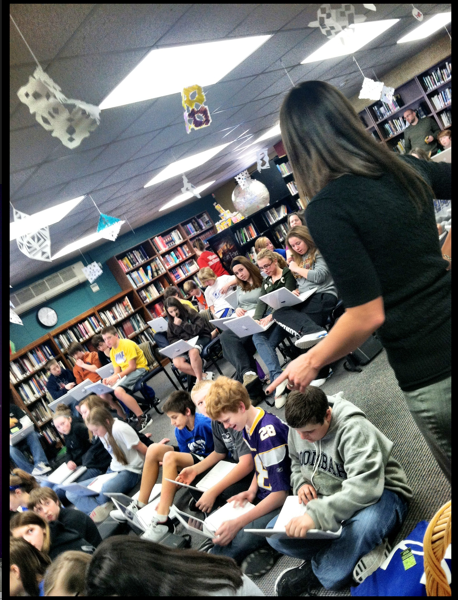 She is awesome! 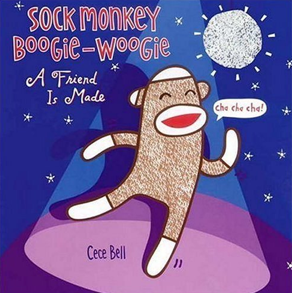 Nikki read Sock Monkey Boogie-Woogie, A Friend Is Made by Cece Bell....one of our most favorite authors at Van Meter! 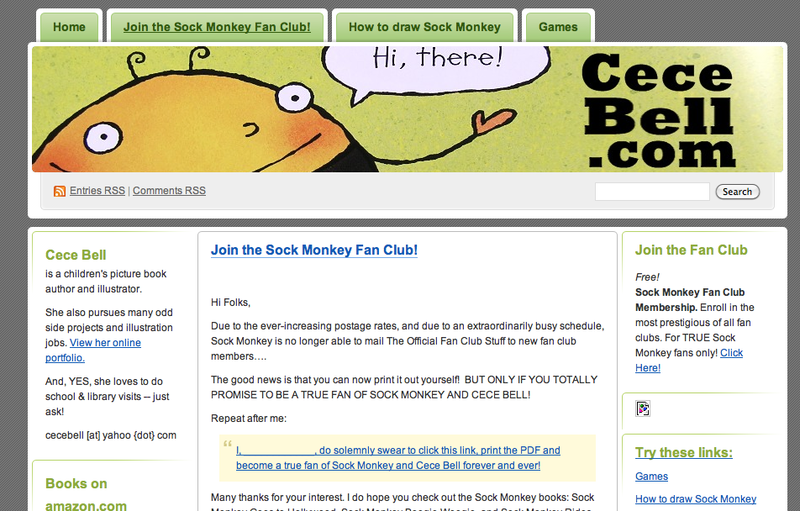 Make sure you check out Cece's adorable website called CeceBell.com. 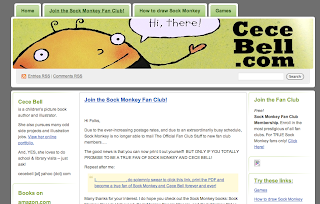 and even a video created by Cece called Learn To Draw Sock Monkey the Cece Bell Way. Nikki read to the 1st and 2nd graders. 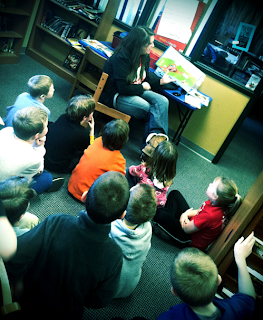 It is such a funny book and we all laughed a lot while she read it....and danced a little too. 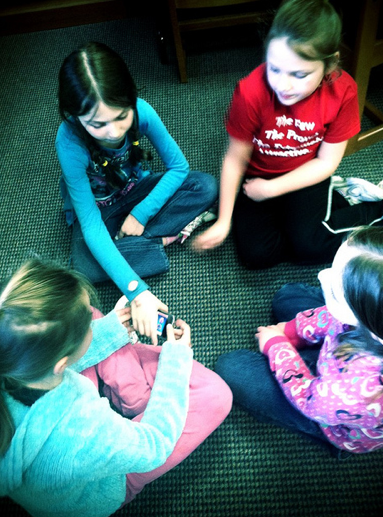 When she was finished reading, I had the iTouches ready with a new app called "Sock Puppets." As the website for the app states, "Sock Puppets lets you create your own lip-synced videos and share them on Facebook and YouTube. 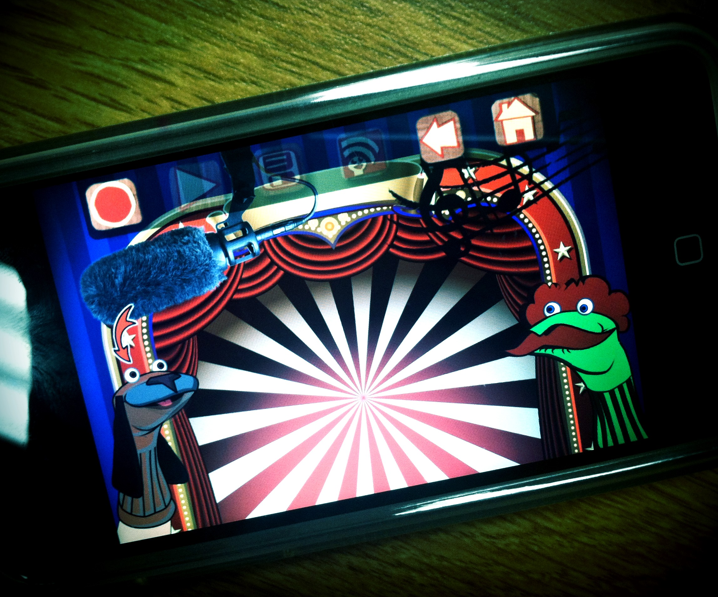 Add Puppets, props, scenery, and backgrounds and start creating." I was excited to find this app because it is a lot like "Puppet Pals" and it is free. 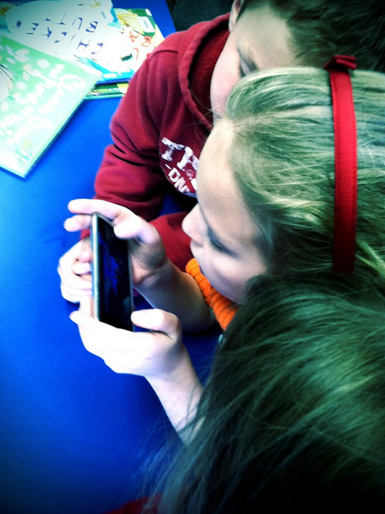 This will be a great addition to our iTouches and iPads for digital storytelling. 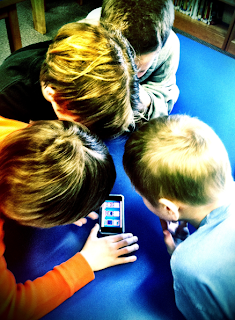 I had the students choose groups of 3 or 4 to work in while they checked out the new app. 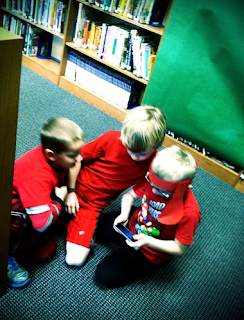 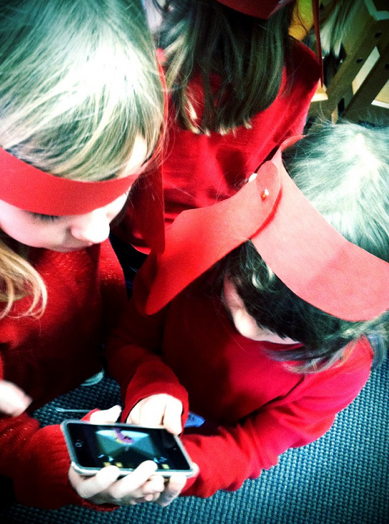 They spread out around the library and found a place to create a little video of their own. 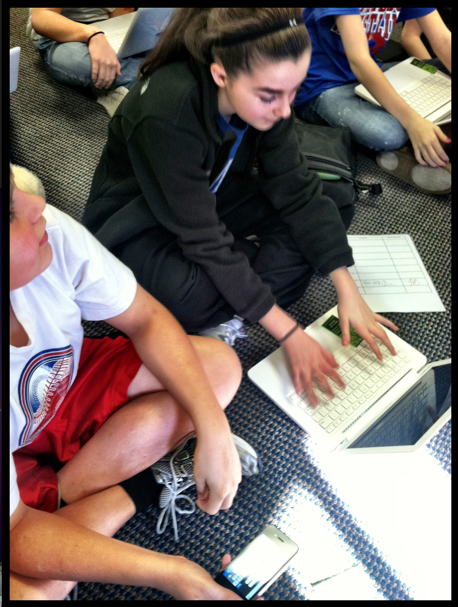 All of the groups did a wonderful job of working together. 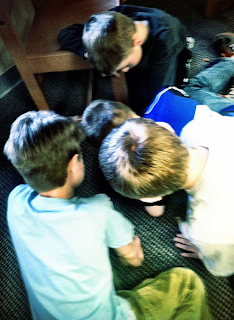 Our friend Beth Swantz, who was visiting Van Meter, enjoyed watching the little people create their sock puppet productions too. Next week when the 1st and 2nd graders come to library, they will be creating productions to share with others at Van Meter and online. It is going to be another really FUN day. my daughter Brianna and her boyfriend Jaden created Jaden and Bri Going Off To College. 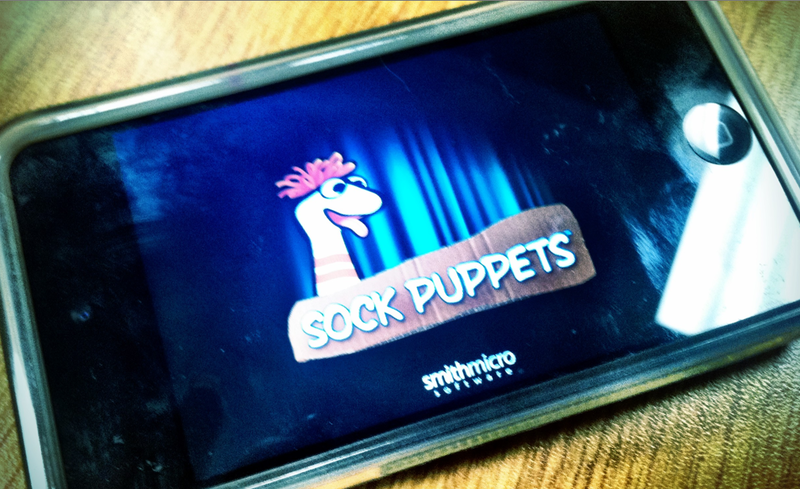 sock monkeys and sock puppets can bring loads of laughs and creativity to anyone. 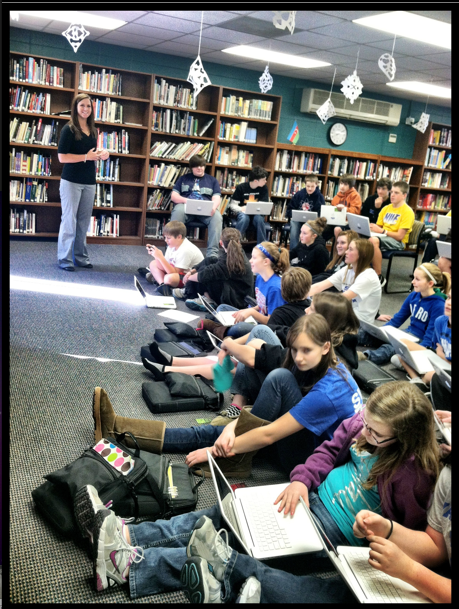 Something Exciting Has Come To Van Meter..... Mackin VIA and eBooks! The students and teachers are so excited for something NEW we have at Van Meter! 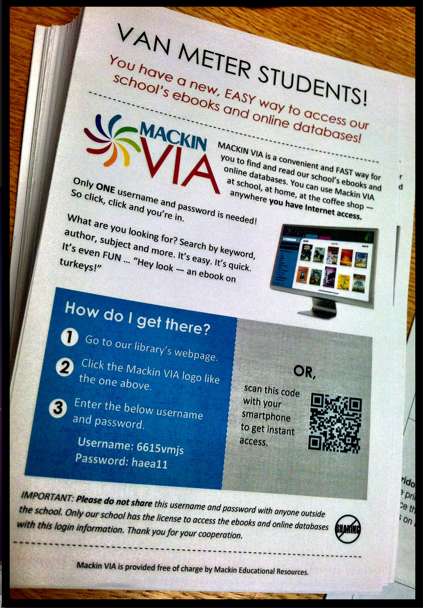 It is an online eBook management system called Mackin VIA. 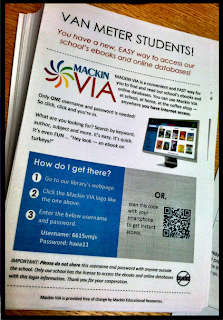 And inside of Mackin VIA are over 160 eBooks which will always be available, 24/7, with no waiting. 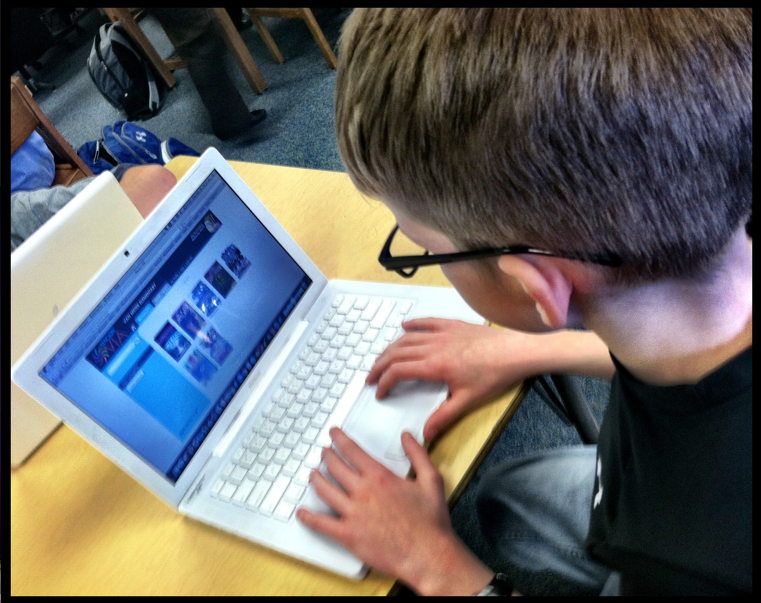 These electronic resources were purchased by Heartland AEA as part of an incredible initiative to bring eBooks into our schools and into the lives of of students, teachers and community. 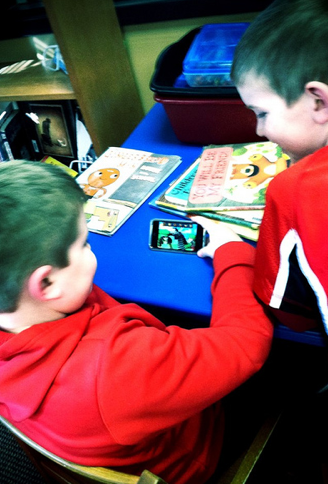 Heartland AEA has provided us with access to Scholastic's BookFlix and TrueFlix, which is mainly for our elementary students. 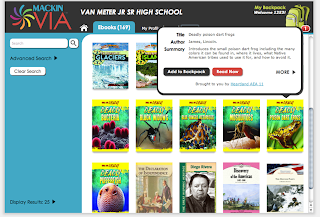 By adding these eBooks, we are also giving our secondary rich digital content as well. 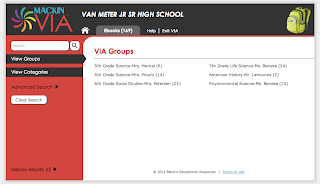 All of our students in kindergarten through 12th grade will benefit from the addition of VIA into our environment here at Van Meter. 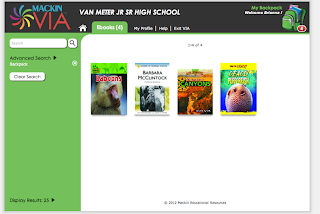 Last week at Van Meter, we introduced VIA and the eBooks. 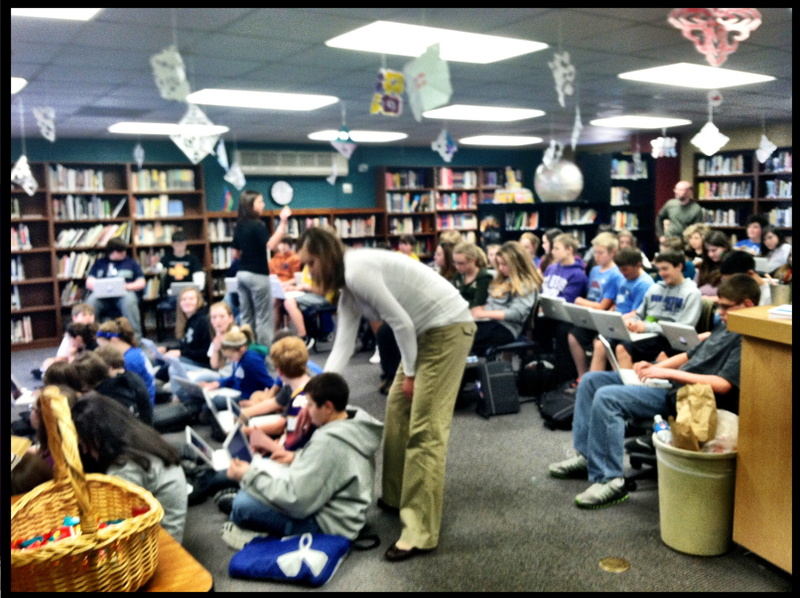 We brought the 7th and 8th graders into the secondary library with their laptops. We visited all of the 6th graders during science class. In the afternoon, we went downstairs and worked with the 5th graders. In between, the American History and Environmental Science classes learned about VIA too. 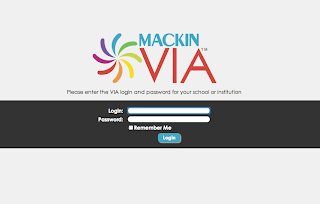 the students logged into Mackin VIA with the username and password given to us by Heartland. 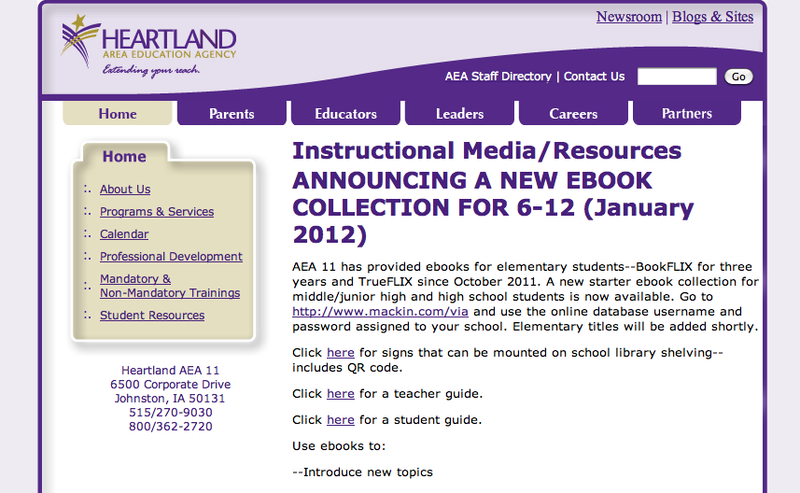 This is the same username and password used for the other AEA resources. This logged them into the Mackin VIA for Van Meter. 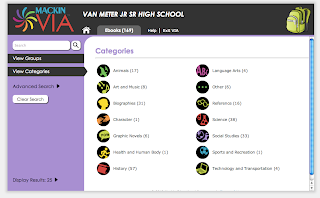 On the front page, the eBooks are organized into "Categories" by subjects like Art and Music, Graphic Novels, and Sports and Recreation. 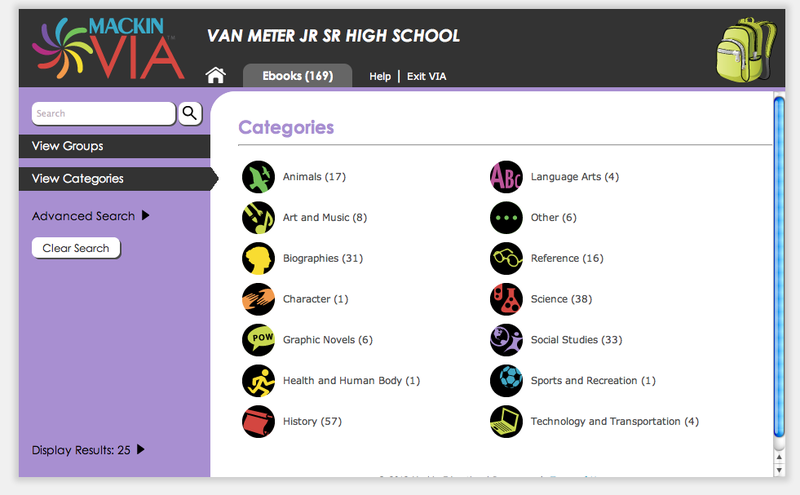 By clicking on the different "Categories", you can go into different sets of eBooks. These are the eBooks found under the "Art and Music" category. 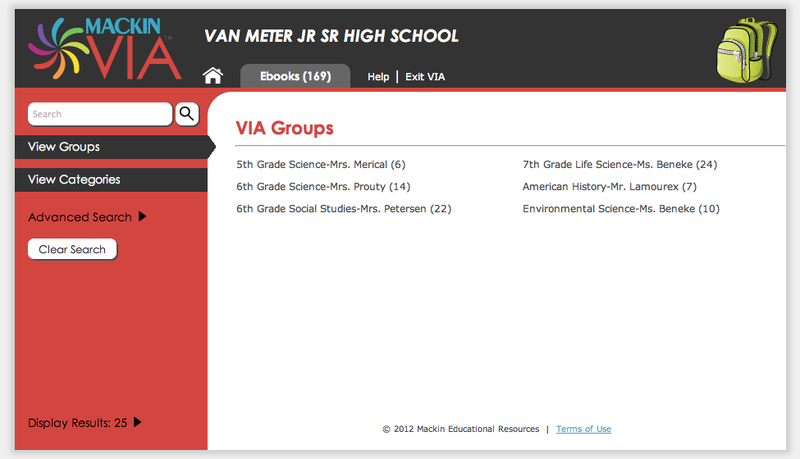 You can also type in the subject, keyword or title into the "Search" box on the front page of VIA, directly above the links to view "Groups" and "Categories". 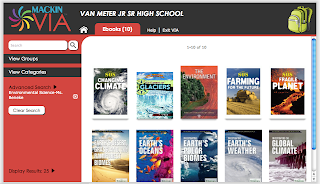 Within VIA, "Groups" can also be set up for the specific classes, teachers, topics, reading groups, events.....anything that you would like to organize a set of eBooks for. 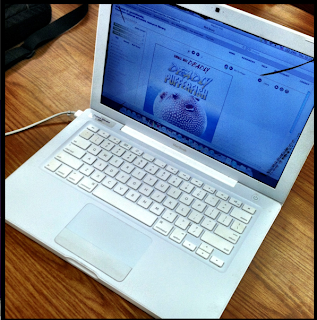 I set up several for our secondary and elementary teachers already. 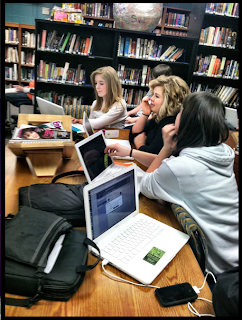 Hailey Beneke and I created a "Group" for her Environmental Science class. She had fun picking out the books that were going to go into the Group. 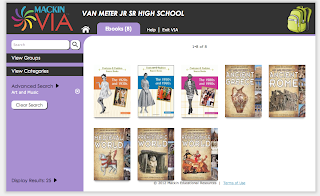 There are so many great books available in our VIA. Hailey especially loved how the students can read the same eBook at the same time, anytime of the day. 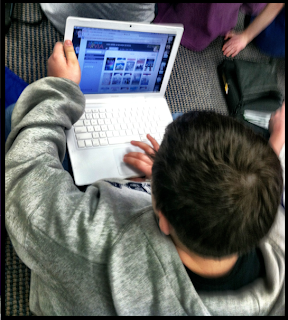 And the students also had fun checking out the eBooks that the teachers put into the Groups. One book that all of the kids loved was Small But Deadly Pufferfish. 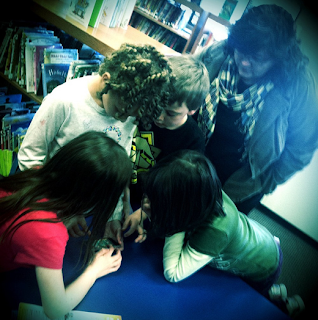 We all learned so much about these interesting, cute little creatures. And they absolutely loved the Inside the NFL database from ABDO Publishing. This will continue to be a BIG hit with our elementary and secondary students. 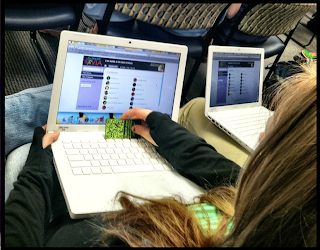 Another awesome thing we can do within VIA is create "Backpacks". All of our students at Van Meter have their very own Backpack. 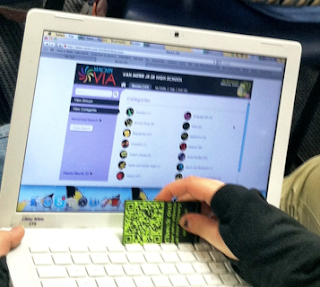 They sign into it with an unique username and password just for them. 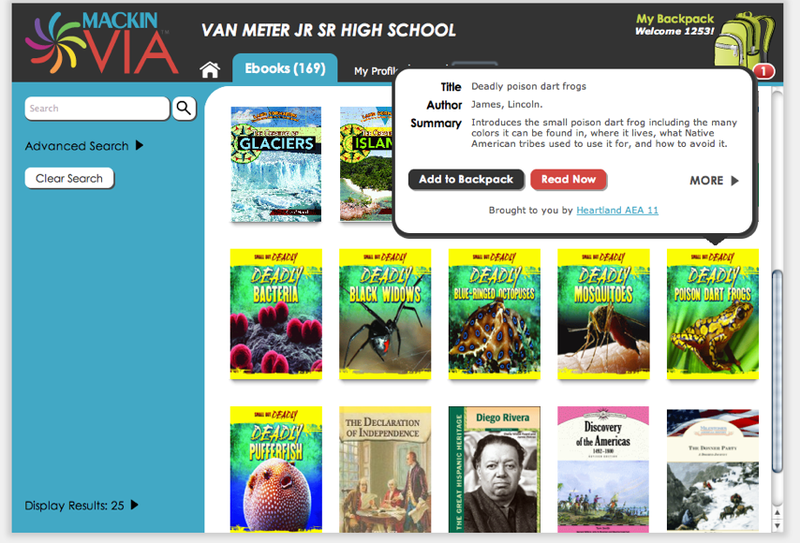 My daughter, Brianna, signed into her VIA Backpack one night and loaded a few ebooks into it. 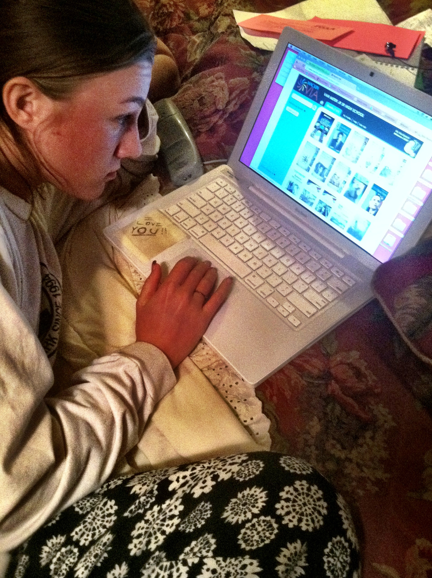 It was so easy for her to do and she had fun looking at all of the different titles. 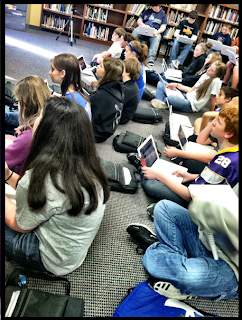 She now has four eBooks from within VIA that are specifically in her Backpack. She can read them anytime and can take them out of her Backpack as well. 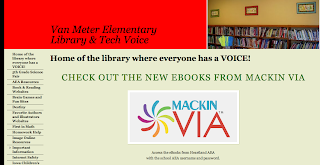 Now that we have VIA and the start of a wonderful collection of eBooks, I have found several places for all of us to connect with them. 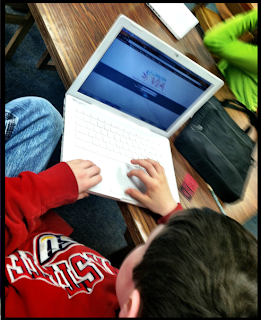 I want our students, teachers and school community to be able to get to VIA from any of our online spaces. On the Van Meter Library VOICE site . 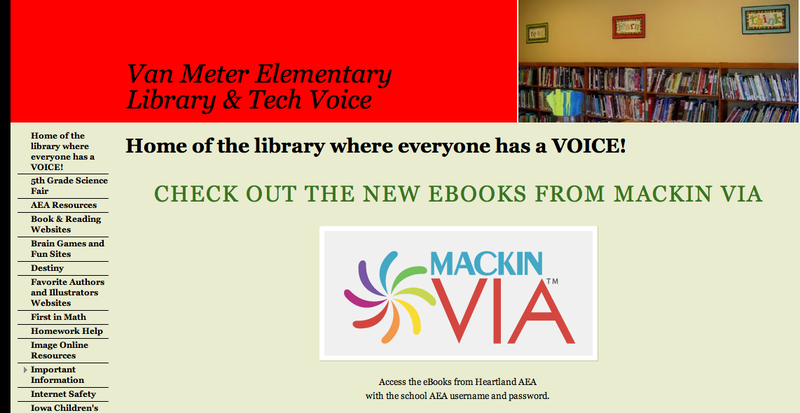 On the Van Meter Elementary Library and Tech VOICE site. From the homepage of Destiny, inside and outside of school. 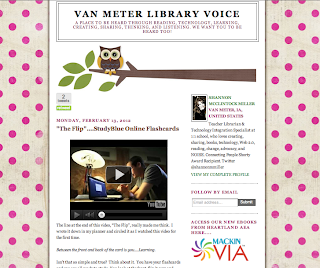 From the Van Meter Library VOICE blog and other ones that I have. 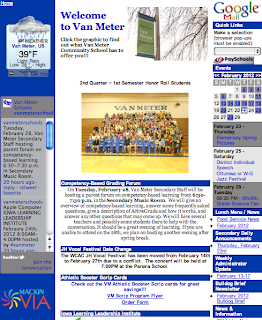 And on the Van Meter School website, we put the VIA widget right on the front page. 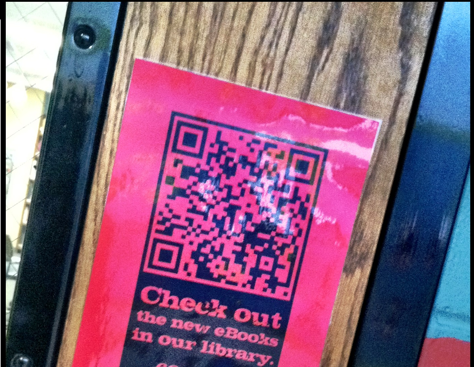 I created posters to put up in the library, classrooms and around school. They include the website and a QR code which takes the user right to VIA. 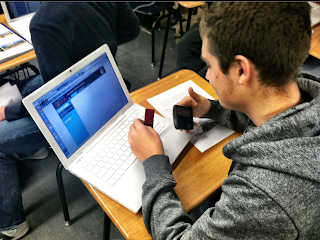 I also created small cards that we handed out to all of the students last week during the VIA rollout. I saw a lot of them tape them right to their laptops. 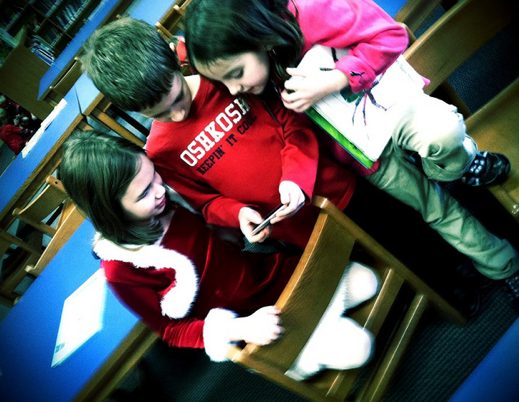 They can use their phones, iTouches or iPads to scan the QR code and browse the eBook collection on their own devices at home, school....anywhere they want. After Christian learned about VIA during Spanish 4, I found him scanning the QR code to read eBooks from his phone. 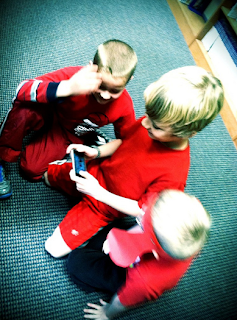 They thought that was pretty awesome. 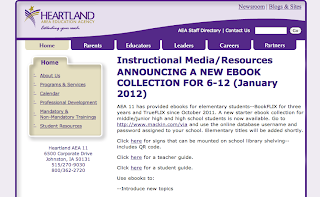 On the Heartland AEA website, there are tons of resources that you can use for the new eBook initiative. The AEA has created these shelf signs or bookmarks with a QR code as well. 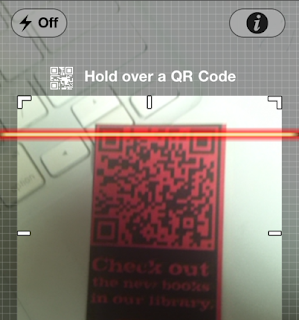 These can also be found online. 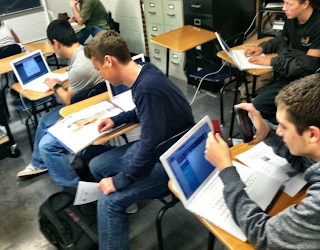 "What about reading the eBooks on other devices, not just our MacBooks?" 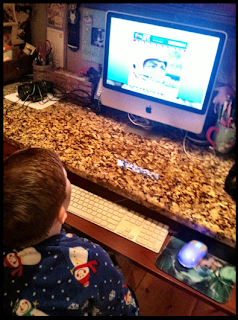 My son Hagan tested out VIA over the weekend on all kinds of devices. He used it on our Nook Color and iPad. 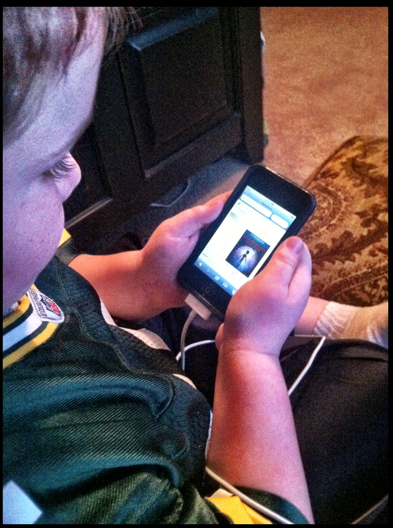 He also read an eBook called The Unexplained, Alien Abductions on his iTouch. 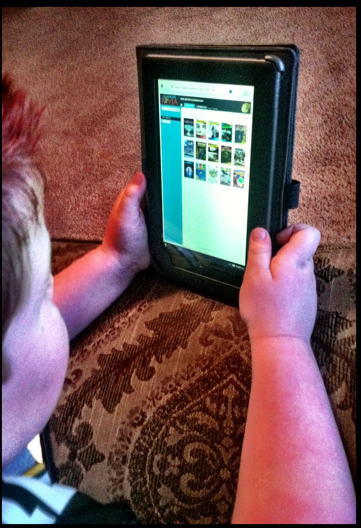 Hagan enjoyed reading the eBooks on all of the devices, including the desktop. 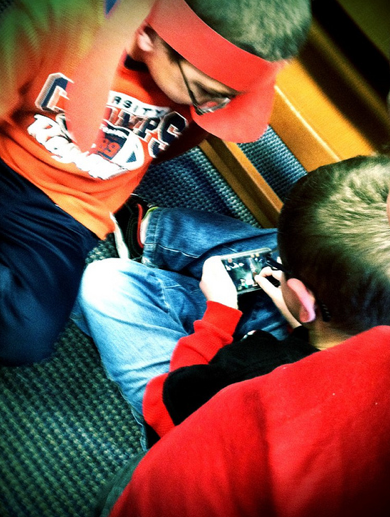 To him it was more about the content of the eBook, not the device that he was reading on. 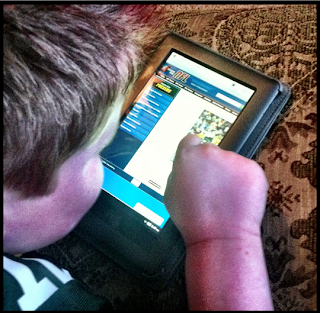 He is just very excited about being able to read all kinds of new eBooks anywhere he wants. 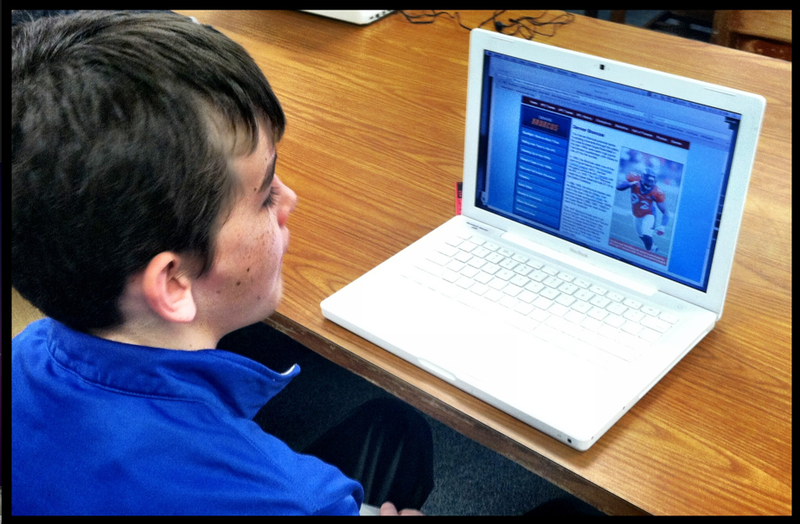 Especially reading about his Packers on the Inside the NFL database. 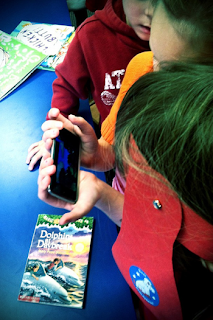 We are very fortunate to have our AEA's support these types of learning initiatives and resources. Without them, a collection of eBooks such as this would be impossible for us to fund and support. I also purchased a few eBooks and the football datbase last week from Mackin. It is so easy to add to the collection. All of our eBooks, even the datebase, are already in our VIA. 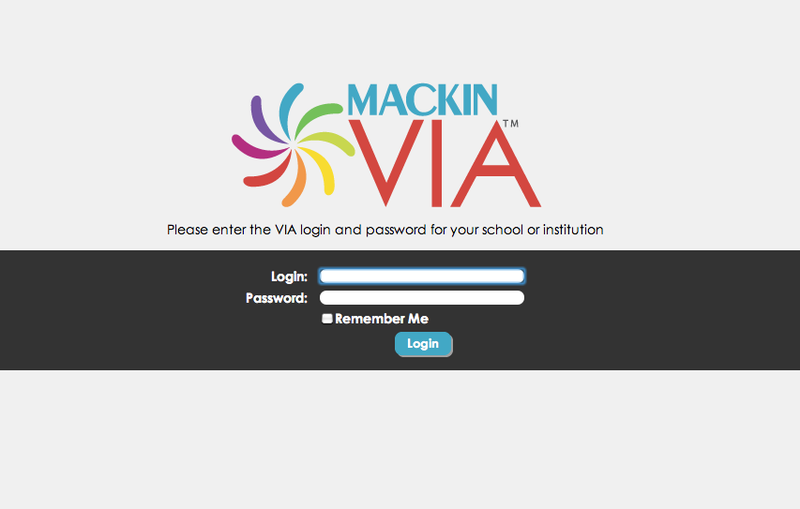 For additional information on using VIA, you can refer to the Mackin VIA Student Guide and Mackin VIA Teacher Guide at www.mackin.com/via. 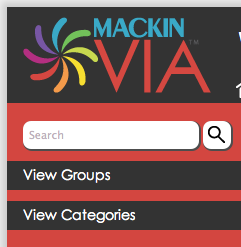 You can also find Mackin online at mackin.com, email at via@mackin.com or call 1-800-245-9540. 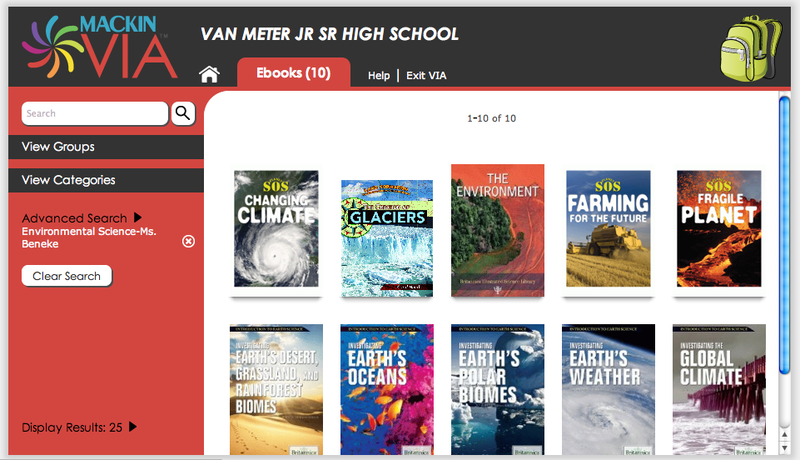 I look forward to seeing and hearing how the integration of these new resources will make an impact within our school, the curriculum and the lives of our students. This is just the start of something that will truly make a difference.